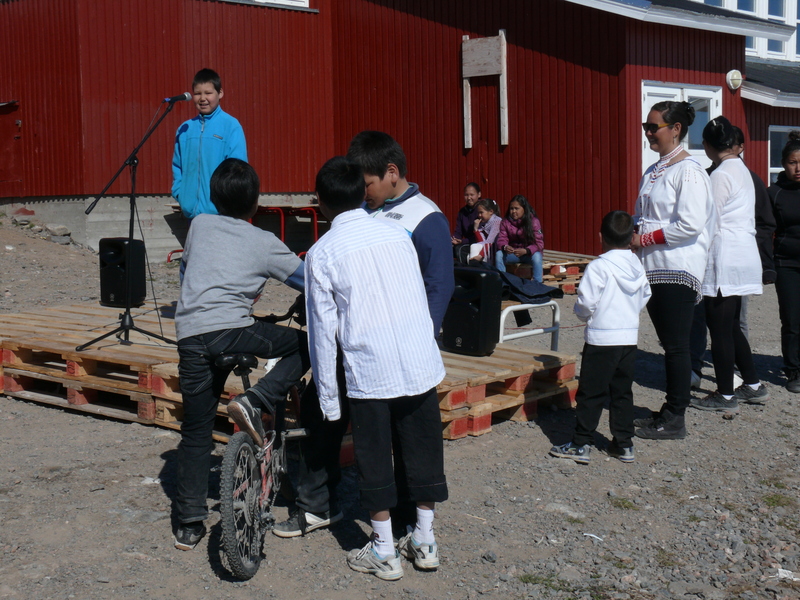 June 21st ist the Greenlandic National Day! At 9 am, there was a church service. As usual, I was playing the organ. Later, when taking a picture of the church from above, I felt very lucky to be living and working at this beautiful spot on earth, in this amazing country! After church, some of us met for a brief celebration at the statue of Einar Mikkelsen. Later, there was free food and different kinds of entertainment in front of the school. The microphone was “open” to anyone who wanted to tell a story. 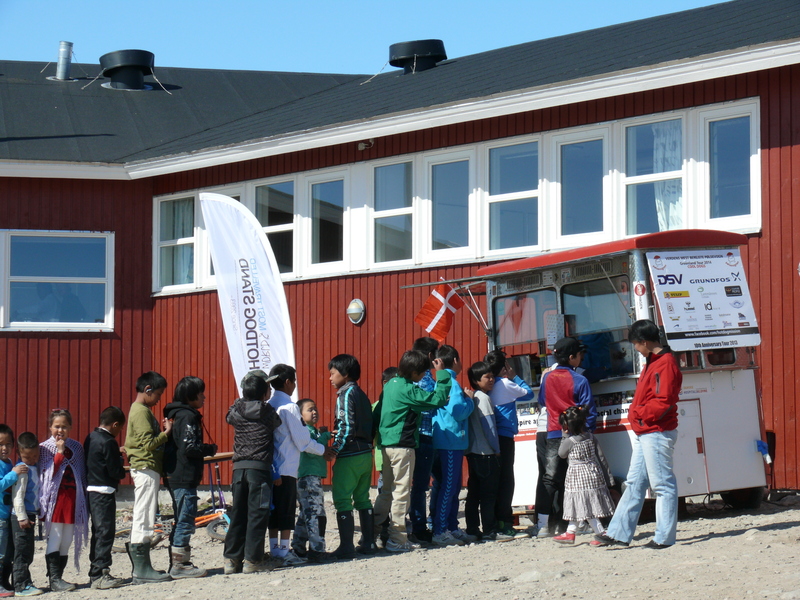 In addition to different kinds of Greenlandic food, this year, we also enjoyed having the “The worlds most travelled hot dog stand” handing out hot dogs to everyone. A few members of the choir sang a song. 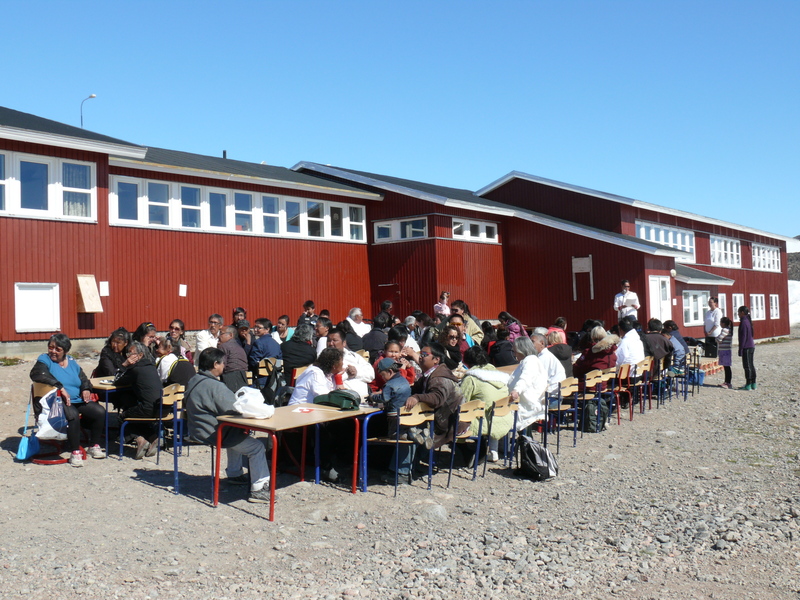 People wearing the national Greenlandic costume, taking part in a competition. 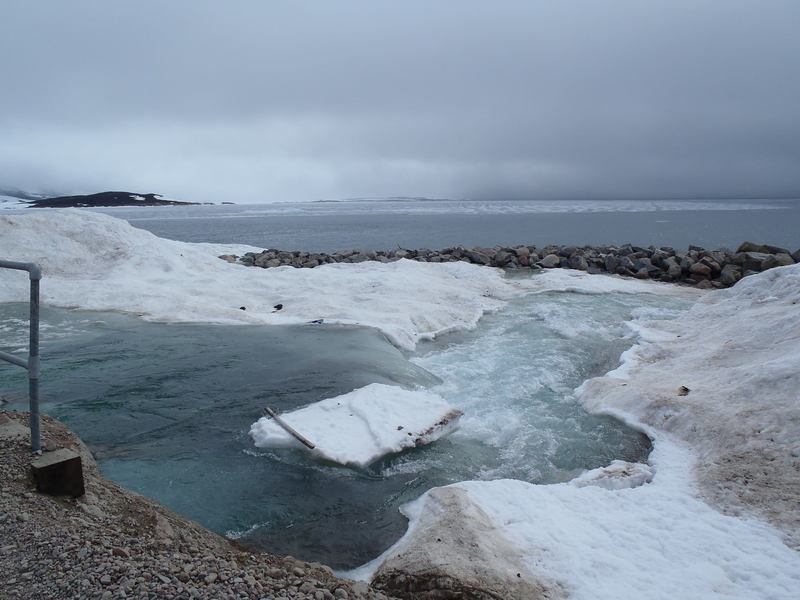 I am writing this on june 22nd, a cold and windy day, not at all like yesterday … but that`s not the only thing that`s difference. Wow, I guess now you’re getting many hours of daylight! Nice to see the water flowing again. I love the traditional Greenlandic costume. Happy summer! A great post as usual! Thank you, Rosh! Yes, we get plenty of light right now, sometimes it is hard to fall asleep, but I woudn`t complain about it …. it is great. Have a nice summer!! 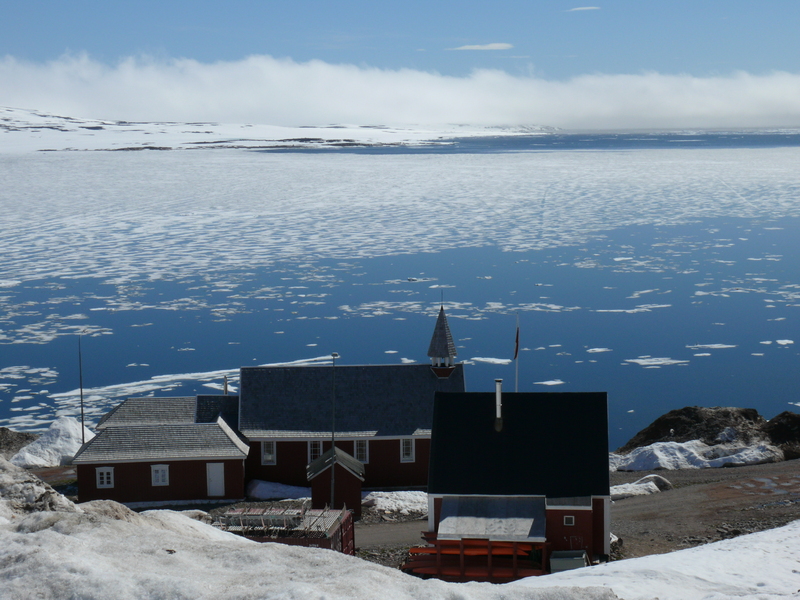 A wonderful story from a wonderful place on Earth – I’m greatfull to: participated in the nationalday severel years ago and at the same day, Abia took Ulla and me by dogsledge at the fiord. 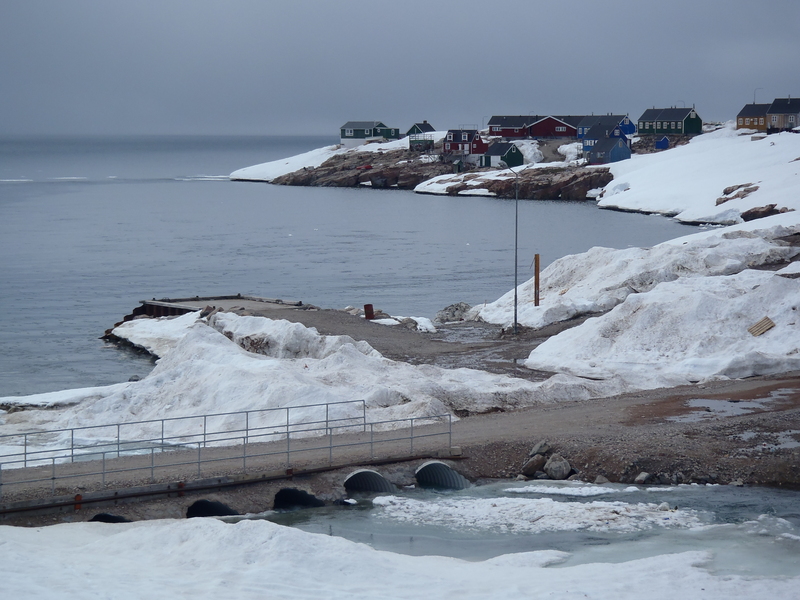 We were very, very wet after…….but the sun was shining and we got seal, fish and birds for supper! Thank you or this glimpse into Greenland! I really enjoyed reading your post. Glad that you are getting sunshine and summer! The woman in the center of the speakers platform has on what looks like a red sweater. 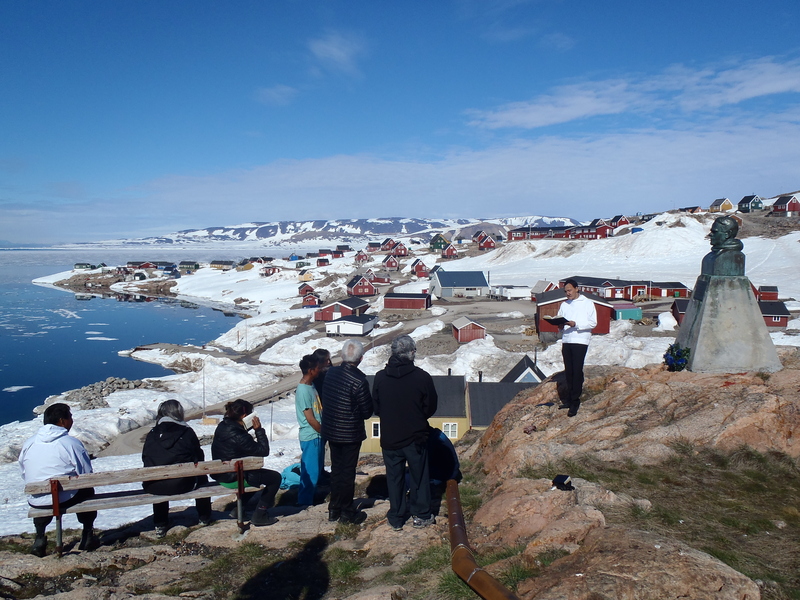 I saw a similar thing in the photo of the Royals visit to Greenland here http://thefourthcontinent.com/2014/08/11/danish-royalty-princess-mary-prince-frederik-denmark-in-greenland/. 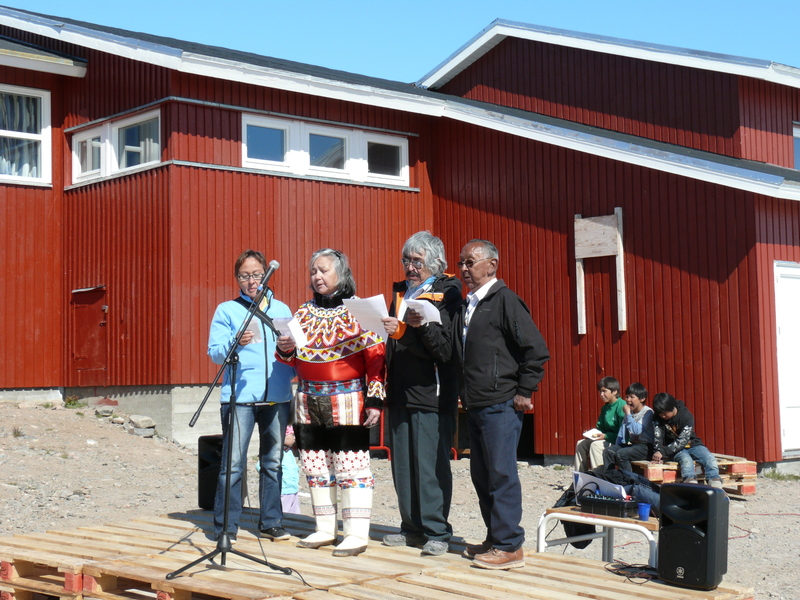 I noticed that the colors in both garments are echoed by the colors of the buildings in Ittoqqortoormiit. I have asked on a previous post of that limited palette held some significance. After seeing the colors in that traditional garb I am beginning to think so. 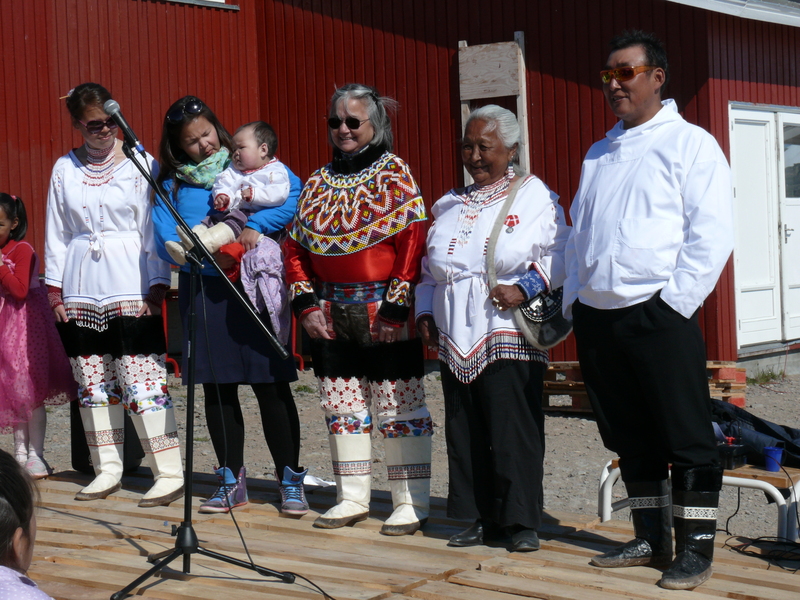 This women is wearing a westgreenlandic national costume (the eastgreenlandic/local national costume for women is different, it`s a white anorak with red, blue and white pears, like some of the other women are wearing). I can see why you made the connection to the houses, though. I think, it kind of shows that people here enjoy using many different colours, in different areas of life 🙂 The different coloured houses also add some contrast to the landscape, especially in wintertime! It reminded me of the clothing of some of the Indigenous native tribes here in America. If I visited, I would have to come home with one of those for my wife or would that be a thing that dishonored the traditions and customs that surround the anorak? I think it’s an absolutely stunning garment that I suspect is an heirloom within families that is handmade and handed down.